Here joining this month's Pumpkin Challenge for February: Share your Story. I am so happy to share with you some ideas with the newest kit: Cute Conversations. Let's have some conversations this month. I will start by sharing just a bit of HOW in the world I entered the world of stamping. But FIRST, let me show some cute samples with the kit. Ok!! Have you wonder HOW to use the "meh" sentiment on this stamp set? Ha! Here is one way to use it. 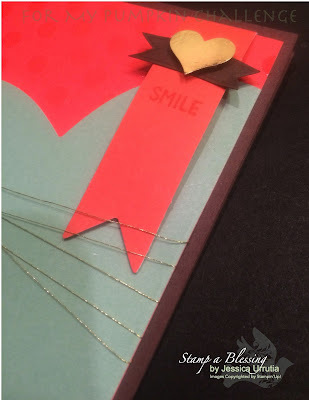 I placed the 'MEH' on the outside of the card to create interest. 'Meh' is an expression I rarely use but understand as "well…let's see…so so…blah"
Many connotations…in my card is more like a "let's see…or hmmm"
What paper is that? 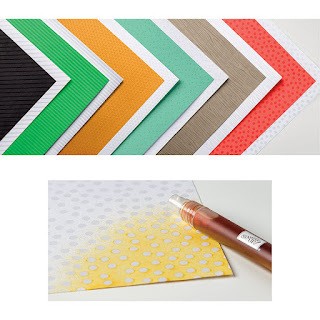 Yeap…I used the new Color-Me Irresistible Designer Series Paper. It has such a pretty raised design, these are dots. 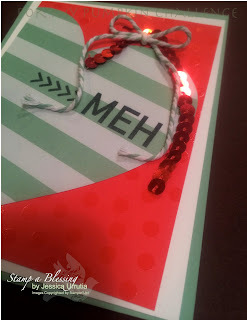 Then the little surprise is the little tag/bookmark with the truth. "Trust me…You're Lovely" from the You're Lovely stamp set. How many of us need a word of unfailing love somedays. I do! 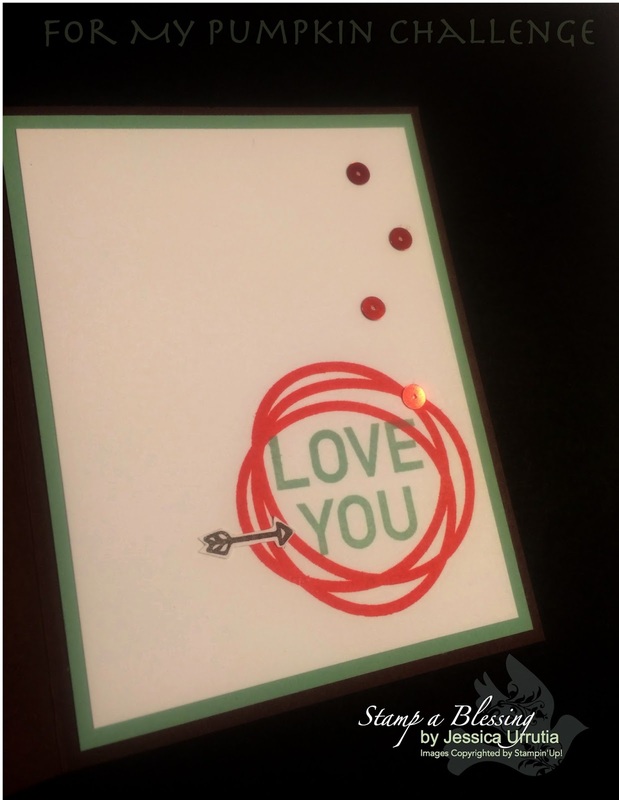 Well…this card will be a reminder to a friend of how priceless she is. I REALLY enjoy making cards out of these hearts. Plus the stamp looks like sticker letters to me. 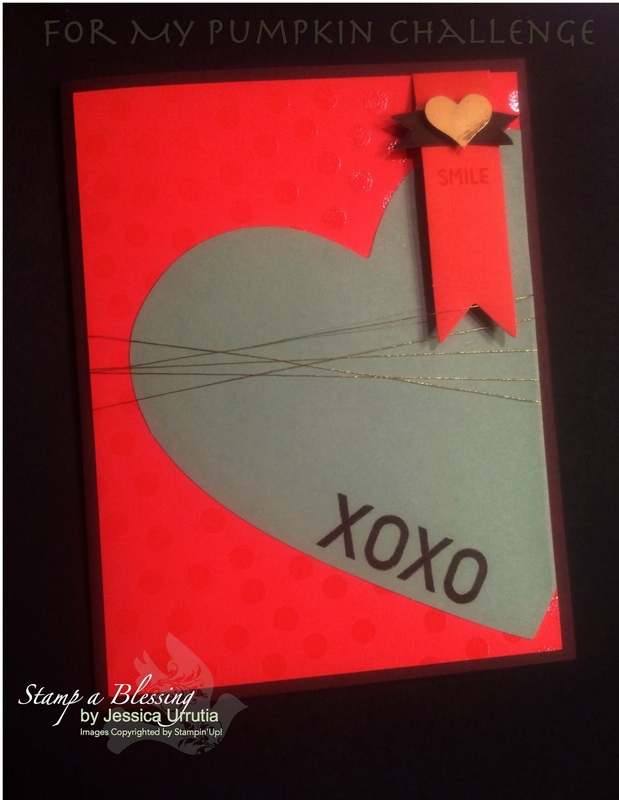 holding the heart on the front of the card. So I had my first child back in 2006 and I fell in love with her and taking pictures of her. 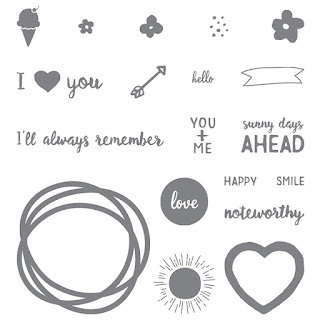 I started scrapbooking to be able to hold to beautiful memories…then discovered stamps and ink during a random visit to my local craft store at the time and decided to create my own backgrounds. 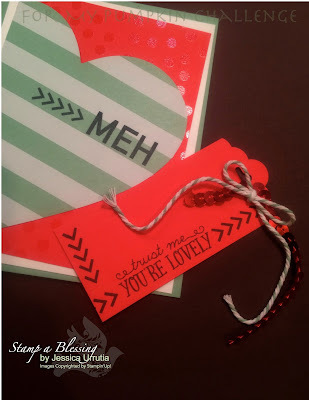 THAT's how I fell in love with stamping. 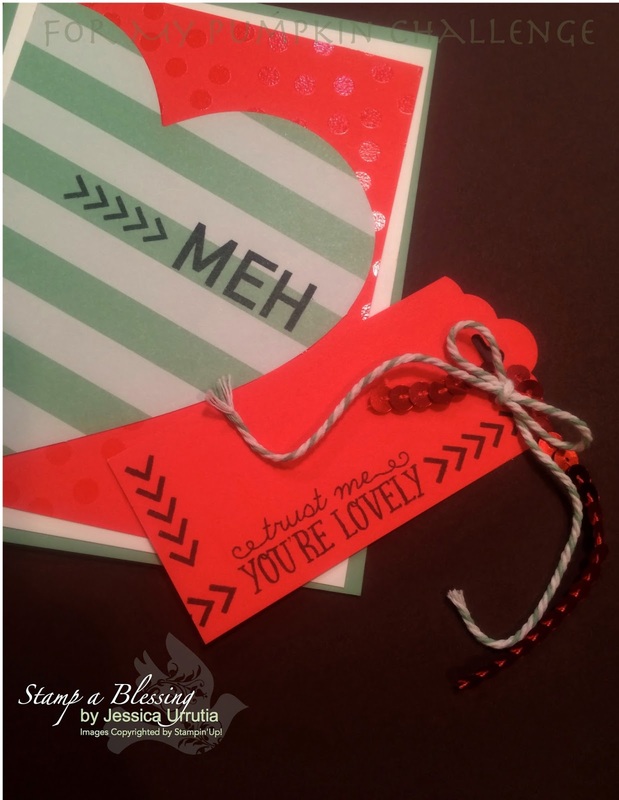 Years later I met a sweet lady who loved and demo Stampin'Up! I didn't pay much attention at first, but then I had a word. I woke one morning with the word Stampin'Up! in my mind. 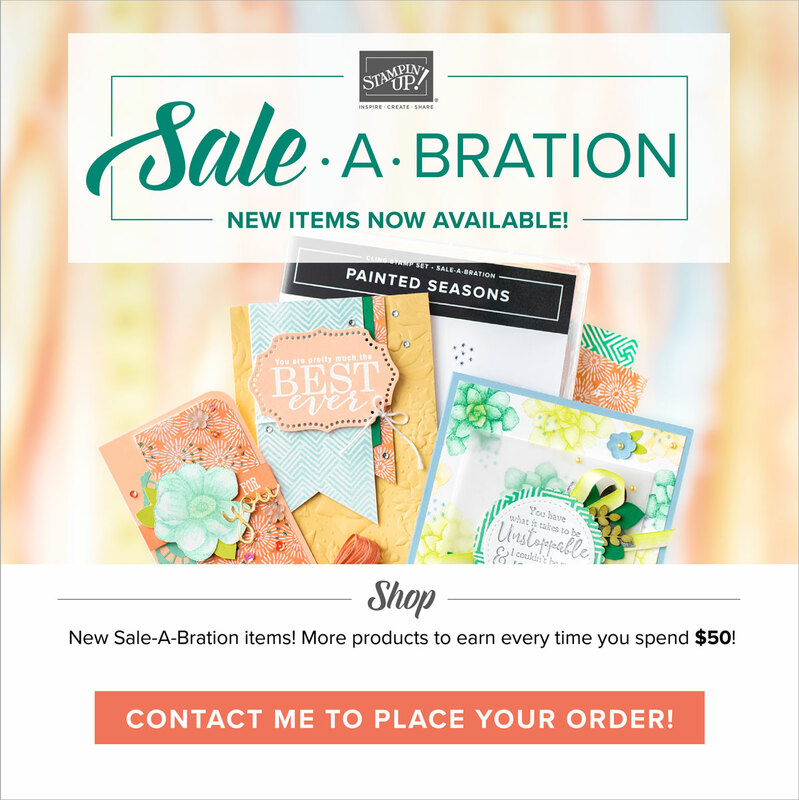 I prayed about, searched for that lady and joined Stampin'Up that same week! 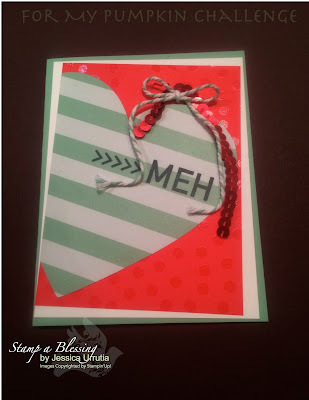 When that happened a whole new world of stamping was opened to me and I learned to make cards as I watched so many cool samples online. 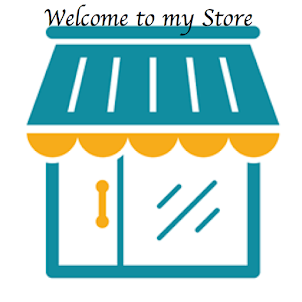 I devoured videos and picture tutorials online. I found my favorite hobby and with that great adventures too. I will tell you more of my WHY I do what I do on my next Pumpkin Challenge post. I love your story! I was a scrapbooker before I got into stamping. I saw an ad for a SU catalog in one of my scrapbooking magazines and thought, "I could stamp on my pages." That was the beginning of so many blessings in my life. That is SO awesome Wendie!! I knew we had a beautiful connection, now even bigger! Love u and LOVE your creativity. You inspire me! Tx Ü! Awww, LOVE these samples, Jess! My fave is the one with the wrapped gold thread, I think! 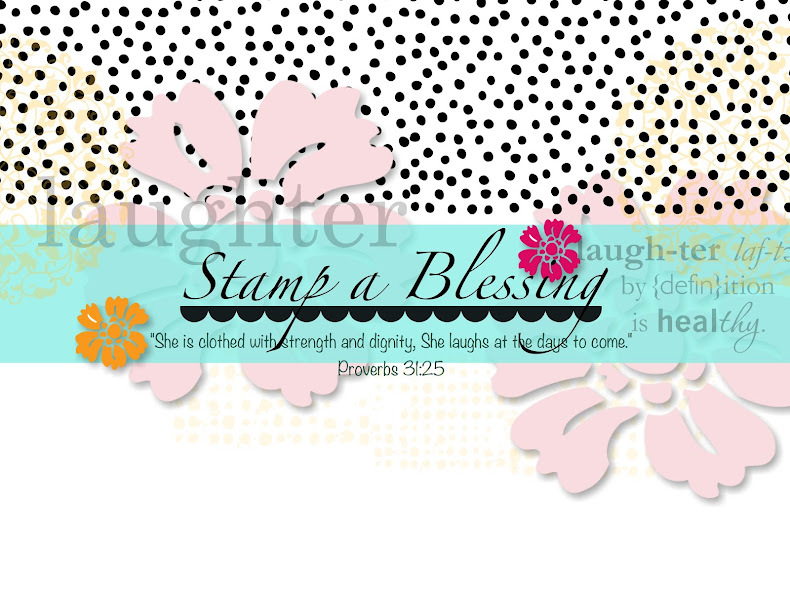 Isn't it funny how we all came from different places to Stampin' Up?! Love you! Indeed Heather!! Such different journeys! God is so good! Through SU I met you. Tx for being a blessing to me always! I like learning about how you got started with SU, it's always a good reminder about how faithful He is!!! Definitely Jess! I wouldn't have even try this without Him. It's been an adventure and I have seen His beauty. Love you sweet friend!